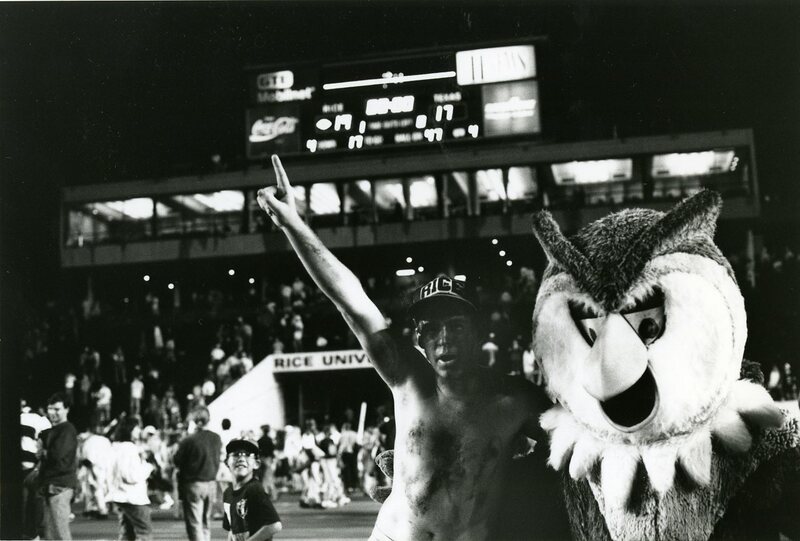 Friday Follies: Happy Rice Day! 4 Responses to Friday Follies: Happy Rice Day! Saw it. That was the most fun I’ve ever had at a football game, even though I was half drowned by the time it was over. I hadn’t thought about how drenched Sammy must have been. Winning 20-17 in Austin on a last minute field goal in 1967 was at least as good. Took the GREs, hopped in a friend’s car and sped (very!) to make it to the kickoff. Well worth the trip to see the tower stay unlighted. Jerry — That 20-17 win in Austin was in 1965. The joy was still evident the next fall during my freshman year.